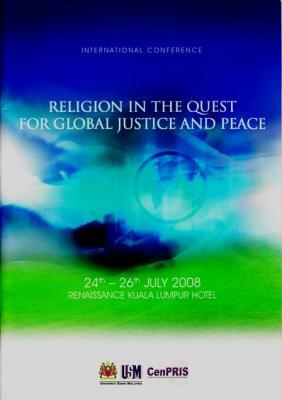 * To develop a deeper understanding of the principles of justice and peace in the different religions. * To analyze the internal and external forces that impede a religion’s quest for justice and peace and how these obstacles can be overcome. * To provide concrete instances of religious groups working towards global justice and peace especially through non-violent means. * To explore the possibility of evolving a shared universal spiritual and moral vision of global justice and peace. * To formulate an action plan which will attempt to translate that vision into reality through concrete programs that will bring together different religious groups in their common quest for global justice and peace.